What if we told you that you could spend less time sorting medication, more time caring for patients and have confidence that their medication had undergone rigorous accuracy checking? PillTime delivers all of the above completely free of charge. Our service reduces the likelihood of administration errors and improves efficiency when caring for a number of residents or for those with complex or chronic conditions.Providing more accurate medication, we can help patients feel better for longer. 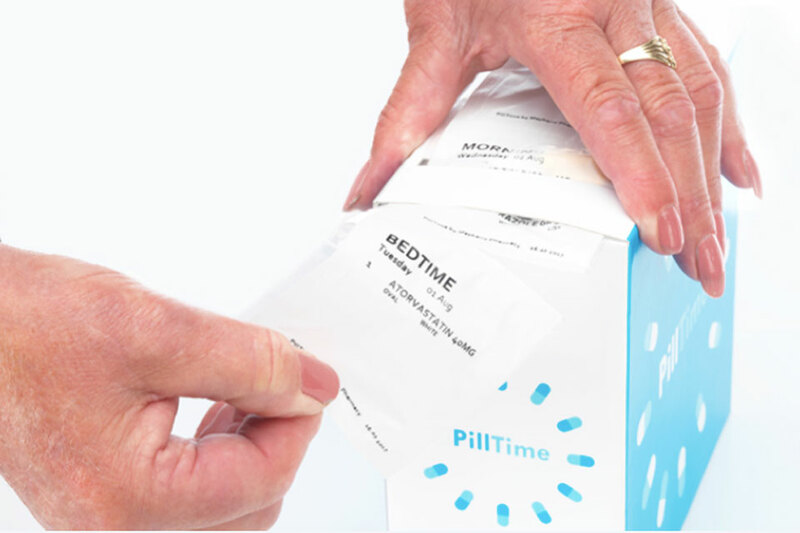 Using state-of-the art technology, PillTime reduces medication errors at each stage of the prescription journey — reducing the risk of long-term complications and hospital admissions that arise as a result of poor medication management. 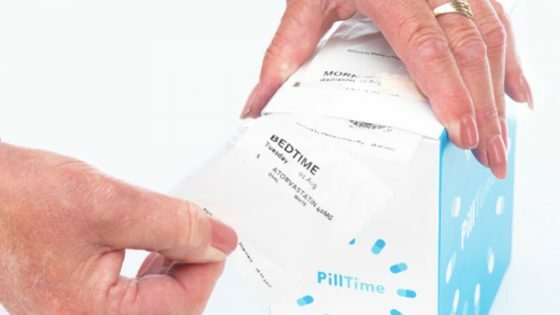 PillTime uses robotic technology to dispense medication into clearly labelled pouches, pre-sorted with all the medication needed at a specific time in one pouch. Each pouch is scanned and checked with the latest optical scanning technology to ensure 100% accuracy. PillTime is an NHS pharmacy that is fully integrated with EPS, meaning GPs are able to transmit prescriptions electronically directly to us, so carers don’t need to make trips to the surgeries or pharmacies. We deliverstraight to the care home and provide a MAR chart with every PillTime box. At the recent Care Forum, we had the opportunity to speak to many care providers and received great feedback about our tailored medication service. We value the relationships we make with other healthcare professionals who share our mission of reducing medication errors and improving people’s health. Patients can benefit from accurate, hassle-free medication as early as their next order. Signing up is quick and simple at www.pilltime.co.uk, or we can provide carers with a scannable form.